This has been a light blogging week for me, largely because I'm still in Sofia trying to recover from the nightly DevReach 2007 parties. But while the parties were good, the conference was great. In its second annual appearance in the capital city of Bulgaria, DevReach 2007 brought in an amazing array of great speakers to educate .NET developers in eastern Europe. I joined big names in the .NET world like Richard Campbell, Carl Franklin, Stephen Forte, and Tim Huckaby to put on over 40 sessions in two days. 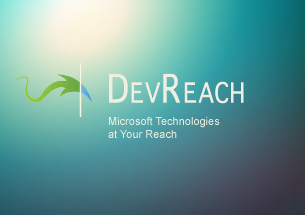 Hundreds of developers attended the conference helping make it a big success and solidifying the stature of DevReach as a major international .NET conference. Slides, demo code, and pictures from the event should be available online in the next week or so. Check the event site for updates and links to the downloads. There will also be a DVD produced that has all of the DevReach sessions (video and audio), slides, and code coming soon. I'll provide more details on that when they're available. All in all, everyone seemed to have a great time and talks about doing this again next year are already underway. If you missed the fun in 2007, start clearing your calendar in 2008 because this is an event you don't want to miss!